Bourchier, Sir John, Lord Berners, trans. 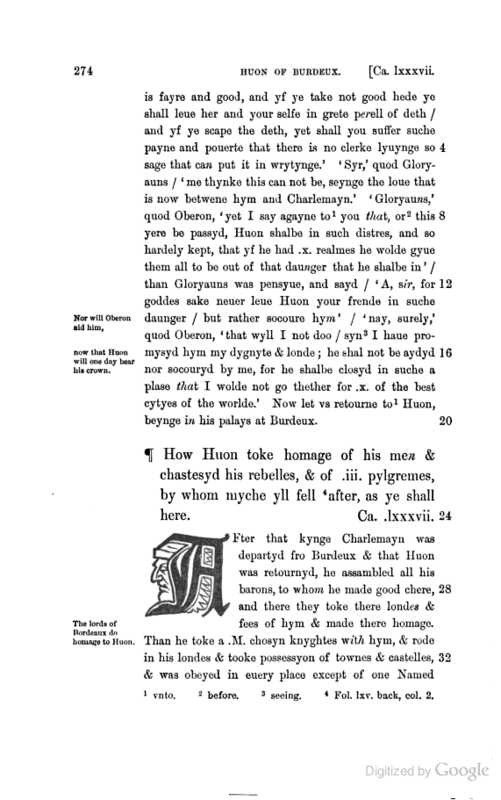 The English Charlemagne romances: the boke of Duke Huon of Burdeaux. 2 vols. London: published for the Early English Text Society by N. Trübner & Co., 1882–87. With an introduction by S. L. Lee.